This Sidewalk Sign Marker Set Makes Messages Stand Out! 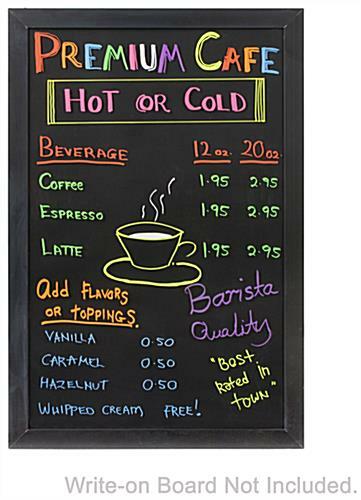 Buy Sidewalk Sign Accessories Online Today at Discount Prices! 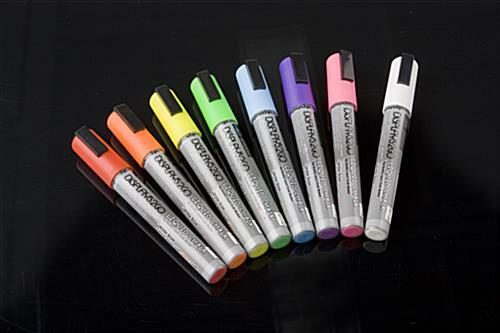 Featuring a chisel point, these liquid chalk markers permit you to write fine lines or broad lettering on wet-erase sidewalk signs. 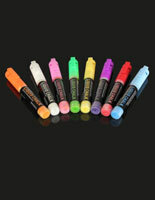 Each liquid chalk marker set comes in 8 vibrant colors: green, white, blue, pink, yellow, purple, orange and red. 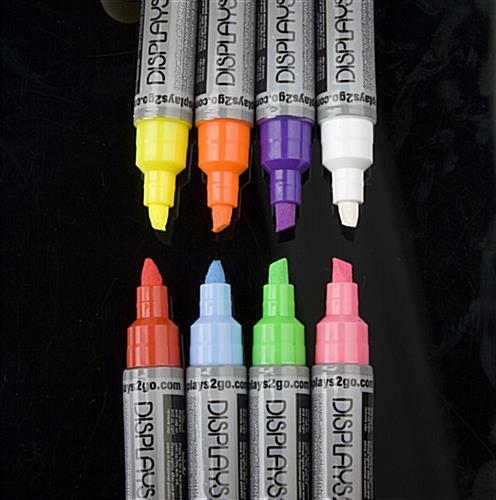 Create awesome displays using all of the colors or simple messages with a single color. Messages can be effortlessly cleaned off with any damp cloth in seconds. Now, you can update your sidewalk sign as often as you want! 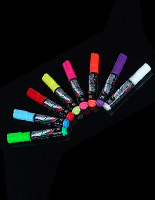 This liquid chalk marker dries readily, and cleans effortlessly without leaving any dust or smears. 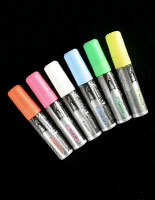 Wet erase pens, liquid chalk markers, are an alternative to traditional chalks. 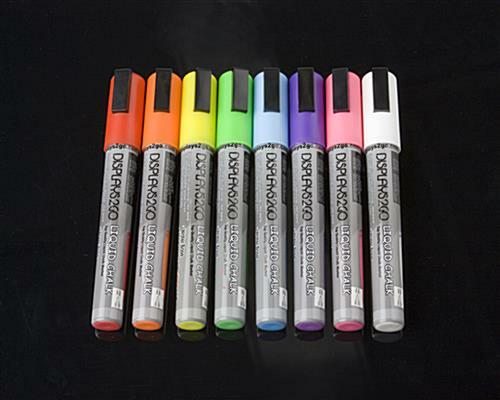 You can use the liquid chalk marker on a selection of sidewalk sign surfaces. 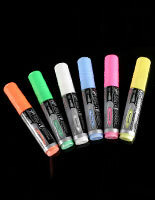 A liquid chalk marker can be utilized to promote ongoing events, special sales or announcements on wet-erase boards. 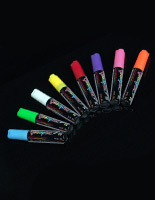 Promote your "special-of-the-day" with flair using these liquid chalk markers on your sidewalk sign. 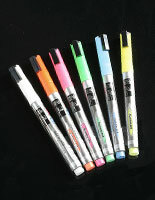 Be creative and make use of all the brilliant colors to design your own advertising message and artwork. 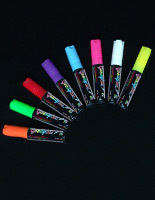 Messages created with these liquid chalk markers will be noticed by everyone that passes by! Love the colors! 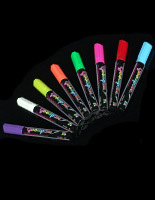 The neon colors stand out! We love that you love it, Patti!